There are many things to consider when choosing a personal injury lawyer. You want an attorney whom you can afford, who believes in the merits of your cases, and above all, who has experience. But what kind of experience matters and how much of it does your personal injury attorney need to have? What Kinds of Injury Experience Matter? You don’t want to hire a family law attorney to handle a personal injury case. Nor would you want a personal injury attorney to handle a criminal case. Make sure that you hire an attorney who specializes in personal injury cases, and specifically, an attorney who has experience in the type of personal injury case that you have. For example, if you have a medical malpractice case, make sure you hire an attorney who has experience handling medical malpractice cases. If you have an auto accident case, make sure that the attorney is experienced in handling auto accident cases. This really important––you don’t want to hire an attorney who has no experience at trial. You may have to go to trial to get the compensation you deserve. When this is the case, you want an attorney who knows how to handle themselves in court and can give you the best chance of winning. Even if your case does not go to trial, the mere threat of trial may be sufficient to get the defendant or insurance company to settle with you. If you have an attorney who has successful, trial experience, the insurance company will know this and they will respect your case a little bit better than if your personal injury attorney has only settled cases out of court. No matter how much experience a personal injury attorney has, he or she cannot guarantee you a win. Also, keep in mind that just because a lawyer is new or inexperienced does not necessarily mean that you should cross them off your list. More experienced lawyers will often have a more established relationship with defense lawyers, judges and insurance adjusters. However, they might be less accessible and spend less time on your case. In contrast, newer lawyers may actually be more up to date on the law, spend more time talking with you and keep you better informed of what is happening in your case. 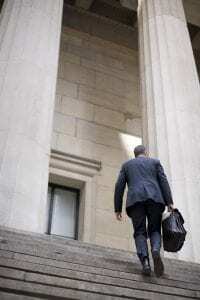 Newer lawyers may also have a more experienced lawyer supervising them if they are in a firm. Furthermore, the firm’s name itself may command the respect of insurance companies and other lawyers, regardless of the experience level of the firm’s individual lawyers. To conclude, experience should certainly be a factor… but, not the only factor. No matter how experienced a personal injury lawyer is, if you feel uncomfortable with them, you may never achieve a good lawyer-client relationship. So, look for a personal injury attorney whose experience matches your needs and who looks like they could be a good fit for you.